Hi everyone! Have you recovered from your food coma yet? Me neither. Consider complementing your more-than-deserved feasting with some binge watching. Our current rec? 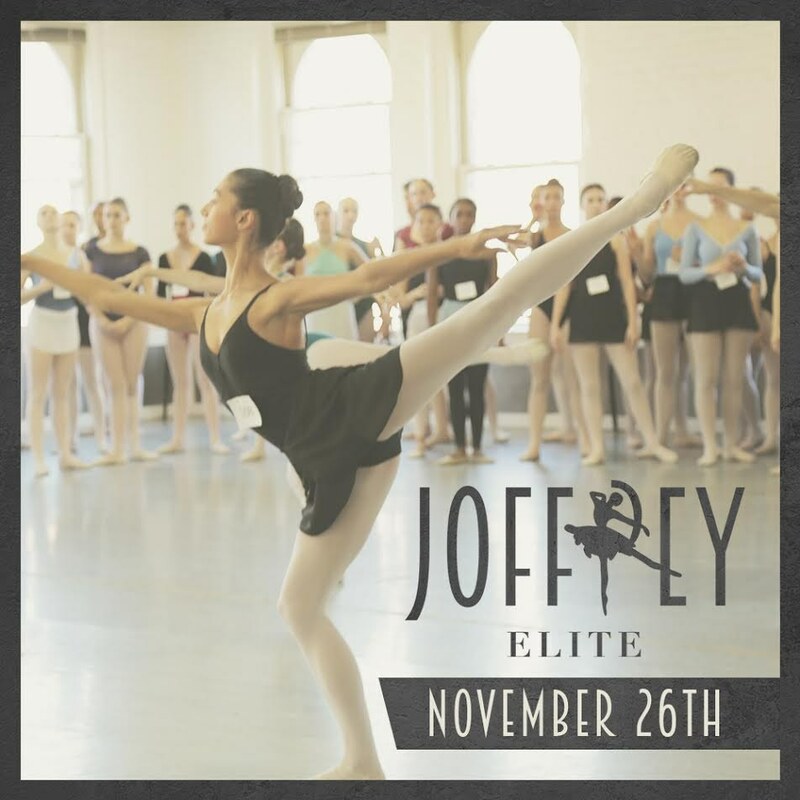 AwesomenessTV's new show, which follows Joffrey Ballet School students as they audition to be part of the Joffrey Elite program. It premieres this Saturday, just in time to give you a reason for not leaving your bed. Watch it here! A show of hands: Who would absolutely freak out if they were offered an apprenticeship with Complexions Contemporary Ballet? How about a full-time position with the Joffrey Ballet Concert Group? If you're anything like us, just the thought of performing with these coveted companies has your heart beating like crazy. So take a moment—breathe—and let us tell you about an exciting new opportunity. YouTube videos of the eight challenge movements will be released in two chunks. The first four videos went live TODAY (November 12). Find one you think you can replicate? Film yourself doing the movement and post it to YouTube with #RiseToJBSChallenge before the first half of the contest closes on November 26. DanceOn and JBS will choose one winner for each video. Look out for DanceOn's announcement of the first four winners on December 1 on the contest website. If your not feelin' any of the first four movement challenges, don't fret. Another four videos will launch on December 3 and run until December 17, with the final four winners announced on December 22. CEO of DanceOn Amanda Taylor let DS in on pro tip for contestants: "Even though we're asking you to recreate a phrase, we want to see originality. Think about things like music choice, emotional connection, costume—make creative choices to stand out." OK now for the part you've been waiting for: the prizes. Each of the eight winners will receive a two-week scholarship to the Joffrey Ballet School Summer Intensive! But it doesn't end there folks. Remember how I was blabbing on about how exciting it would be to dance with Complexions or the Joffrey Concert Group? 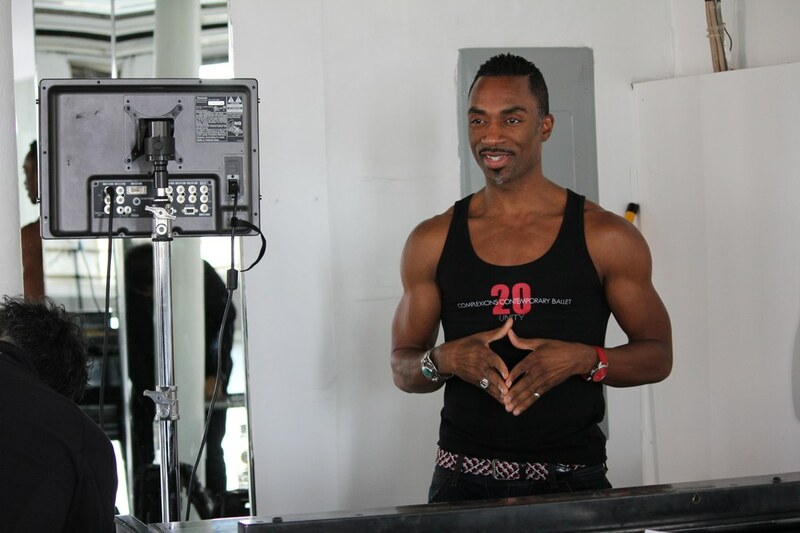 Well here's the kicker: Desmond Richardson will choose one grand prize winner (from the eight winners) to compete at the first ever Élite Dance Tournament in L.A., hosted by JBS and Complexions. The grand prize includes round trip airfare, four master classes and a chance to meet guest judge (you may have heard of him) Nigel Lythgoe. One of the Élite Dance Tournament finalists will receive a Complexions apprenticeship, while another will receive a full-time paid position with the Joffrey Concert Group. But there are TONS of other prices to be earned, as well. According to artistic director of JBS Christopher D'Addario, there are over $100,000 worth of scholarships (including college scholarships) available! Check out the Élite Dance Tournament website for more info. Phew. I think that pretty much sums it up! I'm exhausted just talking about all these incredible opportunities. So go ahead, pick your video, polish your moves, grab your camera (read: iPhone) and prepare to #RisetoJBSChallenge. Happy 60th Birthday, Joffrey Ballet School! NYC's renowned Joffrey Ballet School is turning 60 this year—and they're celebrating on dancemedia.com. Now through October 28, JBS will be posting one new video a week on their own dancemedia.com channel. Each will give a behind-the-scenes peek at the school. You'll see mini-documentary films profiling students from the 2013 summer intensive, exclusive interviews with the school's top instructors, footage of JBS's pre-professional Concert Group and much more. The first video, featuring the Concert Group performing at the 2013 Florence Dance Festival in Italy, is up now. Take a look—and visit the JBS channel each week for new installments!